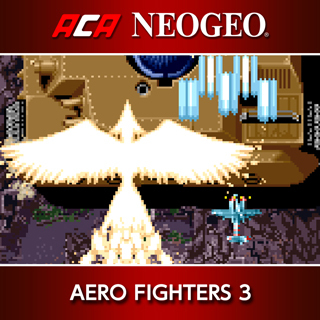 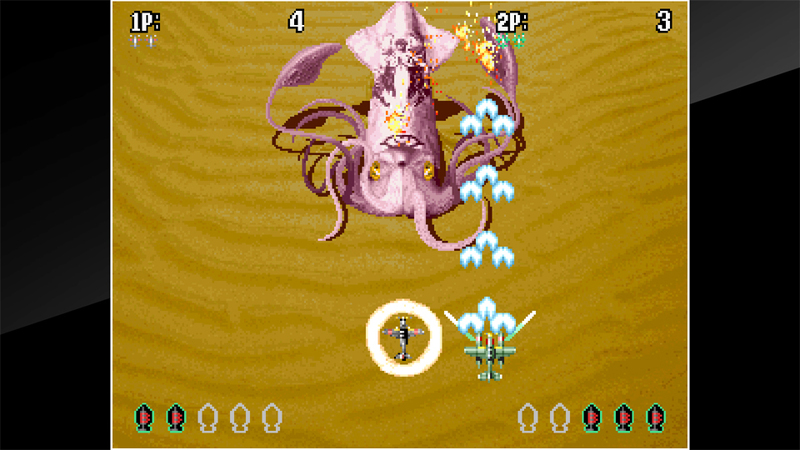 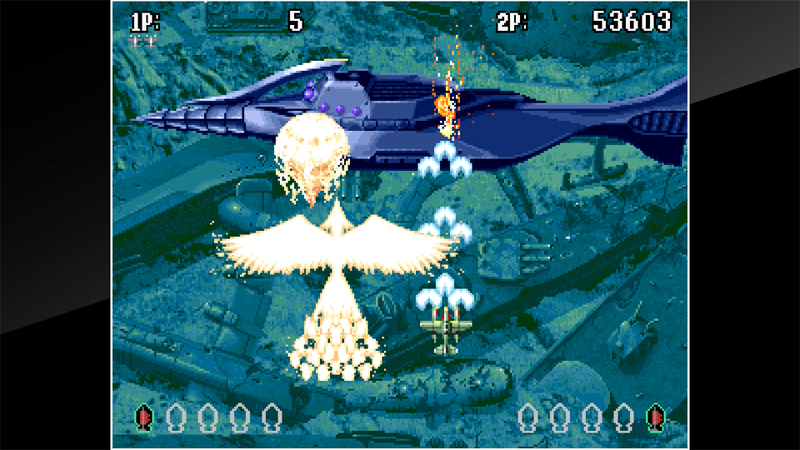 AERO FIGHTERS 3 is a side-scrolling shooting game released in 1995 by VIDEO SYSTEM. 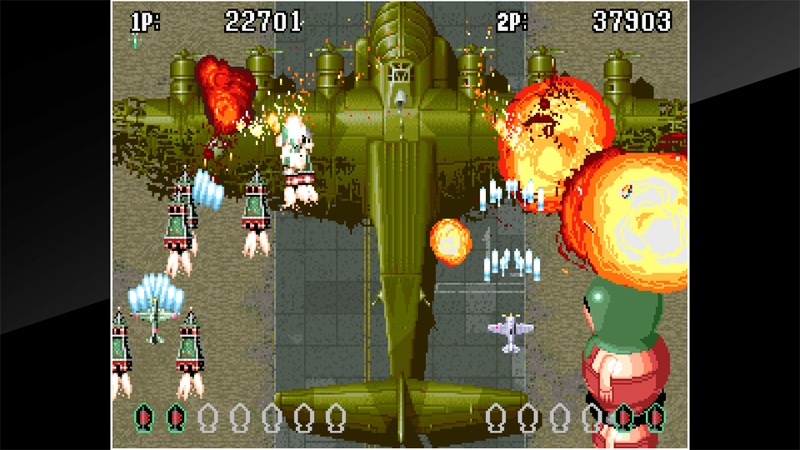 Ten teams comprised of 14 humans and 2 animals have gathered from around the world and are flying on high-powered reciprocating engine planes, such as the ZERO FIGHTER, to save the world. 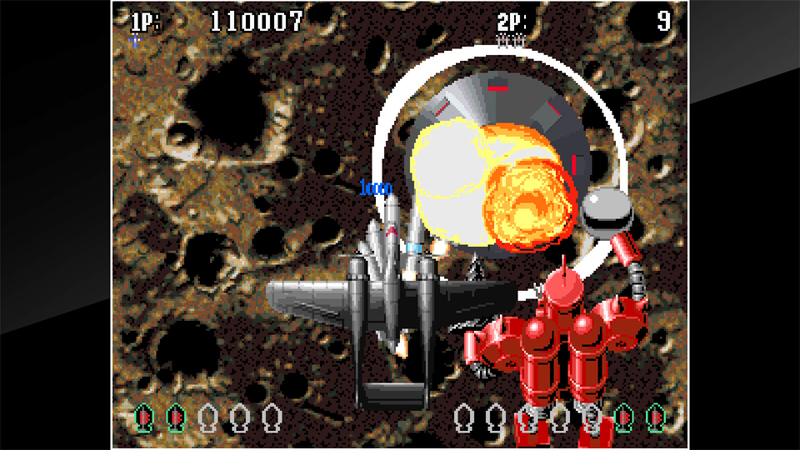 The game offers route selection and multiple endings.